In our increasingly secular society, the “nones” are the fastest growing religious group in the U.S. Evangelicals have joined us mainliners in losing members. And yet opportunities to experience and express spirituality abound and seem to be on the increase. Yoga, transcendental meditation, Zen, different varieties of psychotherapy, etc. Clearly people continue to seek encounters with the divine, albeit in less traditional and less Christian forms. We Christians approach this as a problem and ponder how best to grow the institutional church. But what if our call is not so much to guarantee the future of the institutional church as to rediscover our tradition’s own deepest spiritual practices for both our own growth and as an offering to the larger world of seekers? In this workshop participants will explore this possibility. “A Community of Mystics” workshop will be presented by the Very Rev. 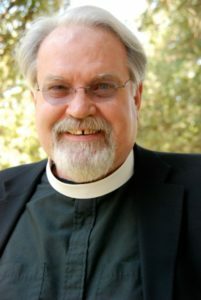 Doug Travis, a dean and president emeritus of Southwest Theological Seminary in Austin. Travis also will be the guest preacher at the opening worship service at 1 pm on Friday, November 10, at the Cleburne Convention Center. If you or your congregation want to engage in your community, learn about challenges facing your neighbors, and consider how civic participation and advocacy can help improve the lives of your neighbors, this workshop will give you tools to do that. Presenters are Mr. Joshua Houston and Mr. Scott Atnip of Texas Impact. Texas Impact is the state’s oldest and largest interfaith advocacy network in Texas, representing the shared social concerns of the Episcopalians and other denominational and faith groups in Texas at the state level. The Episcopal Diocese of Fort Worth is a member of the board of Texas Impact. Board members include Ms. Kathleen Wells and Ms. Sandy Johnson. Members of this statewide religious grassroots network include individuals, congregations, and governing bodies of the Christian, Jewish and Muslim faiths. Texas Impact exists to advance state public policies that are consistent with universally held social principles of the Abrahamic traditions of Judaism, Christianity, and Islam. 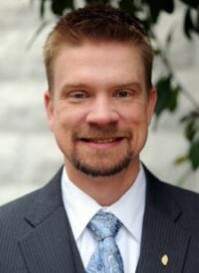 Houston, General Counsel/Director of Government Affairs, serves as Texas Impact’s attorney. His primary policy and legal expertise areas are electric and water utilities; consumer finance; healthcare; food; First Amendment rights; administrative, election and campaign finance law. Atnip, Congregational Outreach Director, works to connect the education and advocacy efforts of Texas Impact, the Texas Interfaith Center for Policy and the Community Partners Program with people of faith throughout Texas. 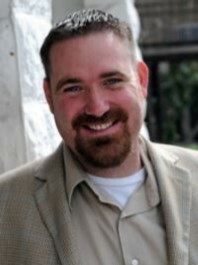 Scott is in his second tenure with Texas Impact, He served as an intern in 2002-2003 while completing his masters at the LBJ School of Public Affairs. ways to partner with organizations, parishes, and accountability partners for the good of the community and for the growth of the church. This workshop will be presented by the Rev. Hunter Ruffin, church planter for Parker County. Ruffin approaches church planting via the route of entrepreneurship rather than the traditional formal church plant. Ruffin formerly was at St. Michael and All Angels Episcopal Church in Dallas, to which he was called after seminary. Ruffin also served as a bishop’s warden for The Gathering, a homeless ministry in downtown Dallas. He graduated from the University of Southern Mississippi with a Bachelor’s of the Arts in History and Foreign Language & Literature. He worked for the American Red Cross in Hattiesburg, Mississippi. He completed a Master’s of Business Administration in International Business and Finance at Florida Atlantic University. 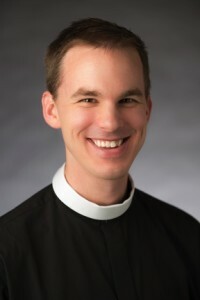 He graduated from the Seminary of the Southwest in Austin.